Price hike coming end of March. Place your orders now ! Best musical all around speaker we have heard. finest quality low powered amplifiers. performance at a lower price point. Some manufacturers focus on the senses, others on technology. the impact of physical constraints on subjective listening quality. 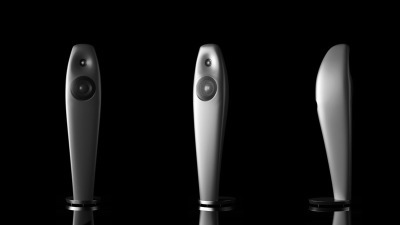 THREE has been designed to bring music to life. making them easy to live with, as well as a joy to listen to. Available in Black, White, Graphite, and any other custom color of your choice. 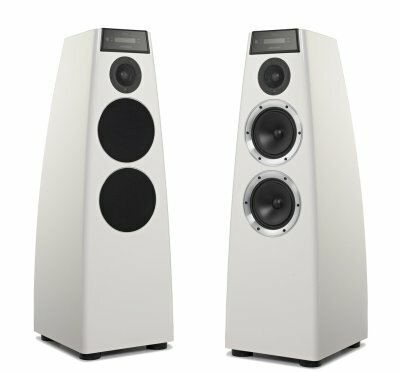 Egglestonworks Viginti Loudspeakers now available ! Complete customization. Designed and built in USA. Pick your own color. Custom installation offered. 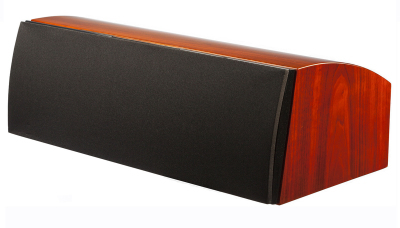 The newest flagship speaker by Eggleston without the flagship pricetag. Available in Black, White, Graphite, Red, Ferrari yellow and any other custom color of your choice. One of the easiest speakers to mate with in your system. LIMITED EDITION Only 250 pairs will be built. Schedule an appointment to experience this wonderful speaker. 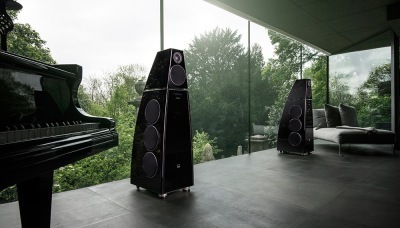 Meridian DSP3200 2 channel Powered speakers. Add the Amazing Meridian G65 receiver and you have a reference cinema. Additional products include the DSW Subwoofer. 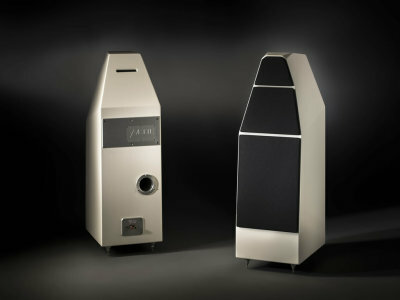 Meridian DSP5200.2 and DSP5200SE Special edition speakers optimized for MQA with high resolution Berrillum tweeters. 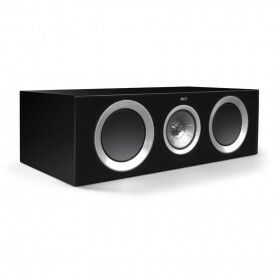 Additional products include the adding multiple DSW Subwoofers. the cabinet, giving the most controlled and detailed sound possible. 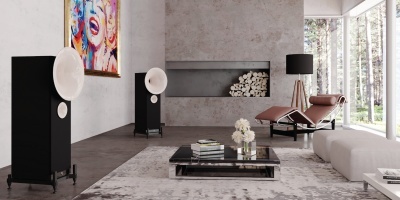 Make an appointment to audition these amazing speakers and sub-woofer systems. 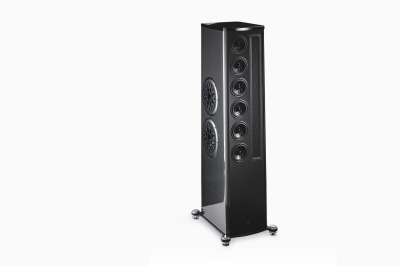 The newest speaker developed and built like the masterful Viginti. The Kiva is a D'appolito design with custom paint finishes offered. 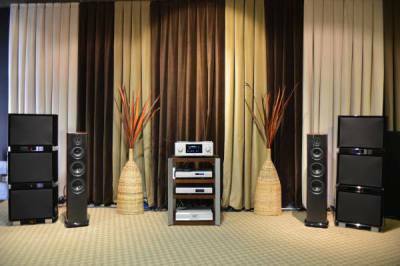 We have paired it with Bryston's B135 cubed, Audio Research's VSi 75 and much more. At present we have the MSB Premier DAC with Bryston's new 7B-Cubed Mono block Amplifiers. Quite amazing. Schedule a listening session with us. You are sure to make a purchase. 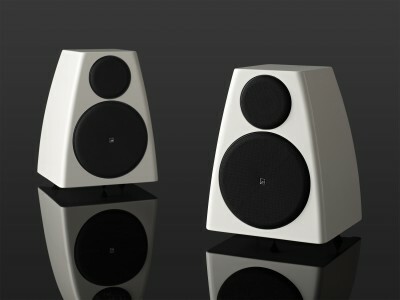 Vivid Audio's dedicated KAYA Series 25 speaker now on demonstration. This speaker works very well when placed closer to the wall. 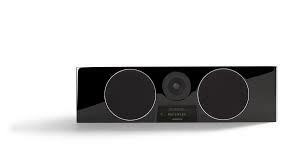 Ideal for Audiophiles who also want a home cinema system. Arriving shortly a matching center channel. the music you love the most. In Stock. Maple and Cherry finishes. 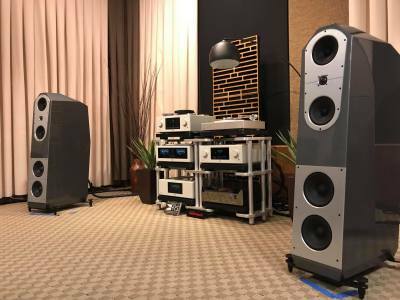 We combine the Vandersteen speakers wonderfully with Vandersteen Amps, Audio Research, NAD, Bryston audio, Brinkmann, Meridian, Dan D Agostino, and Doshi Audio. 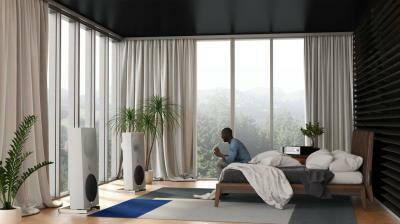 Martin Logan Masterpeice series speakers. Masterpeice 15A- Active woofers in Stock. Masterpeice 13A-- Special Available in Factory Demonstration. Masterpeice 9 ESL -- In stock in Dark Cherry. Martin Logan Custom Install speakers. Martin Logan Architectural Stealth Series Loudspeakers. 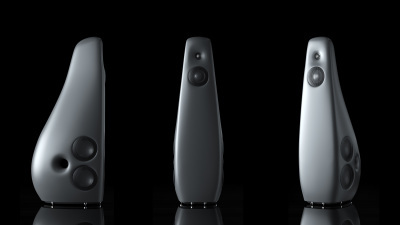 Stealth Series is the pinnacle of discreet high-performance audio. Each speaker utilizes our larger, low distortion Folded Motion™ XT tweeter, along with black-aluminum, high-excursion bass and mid-range drivers, an advanced topology crossover network with polypropylene and low-DF electrolytic capacitors, custom wound inductors, and thermal and current protection. Stealthy appearance, MartinLogan performance. 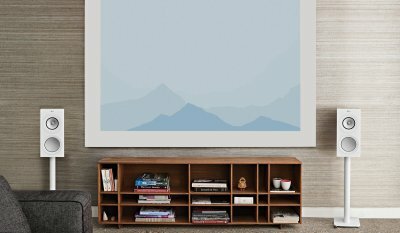 An in-wall speaker that sounds like it isn't. 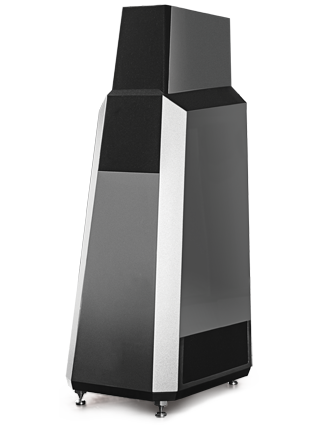 The world's most sophisticated and elegant architectural loudspeaker, Axis sounds so clean and dynamic, you'd think it were a superb standalone design. Not surprising, since it borrows so much from our own, including Folded Motion XT drivers and aluminum cone, high-resolution woofers. 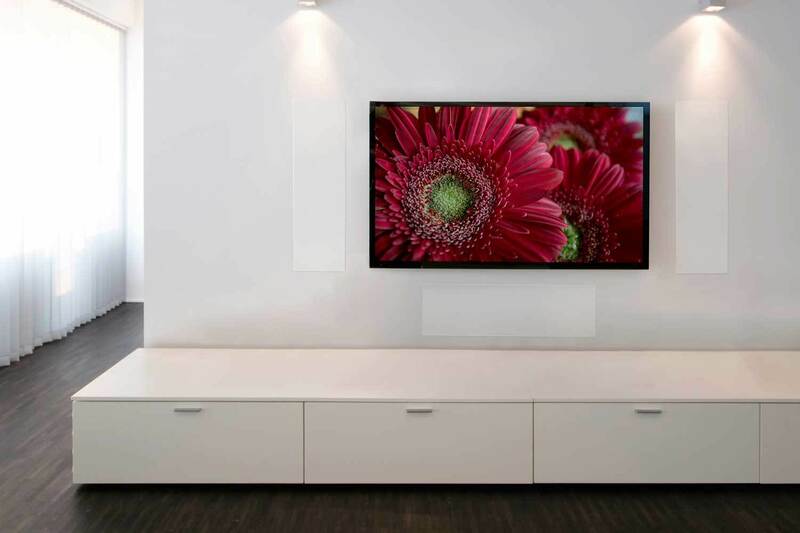 A rigid aluminum chassis and die-cast mounting locks enhance performance and ease installation, while an rotatable tweeter and bezel-less magnetic grille provide incredible adaptability into any installation. A few words from Mr Holger the cheif designer at Avantgarde. The main concept of the Uno Fino is to make a Uno System with a smaller size/footprint. 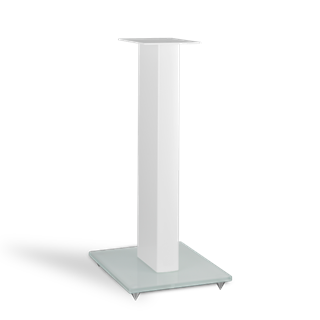 To make a system which will fit just as well in smaller rooms. 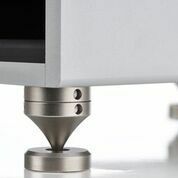 Furthermore, we wanted to design a product which has a more traditional look, but at the same time has the typical attributes of an Avantgarde speaker (horns, spike/foot-frame). 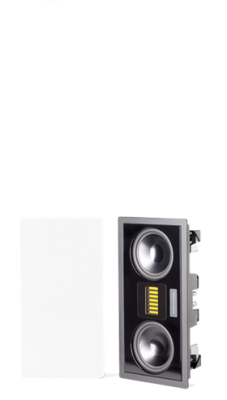 In order to make the speaker smaller, we now integrated the midrange driver into the bass cabinet. This way we managed to increase the bass volume for the bass and at the same time make the speaker more compact (smaller height, width and depth). The main problem was to develop an 8" bass driver, which would match the power of the 104dB/W/m efficiency of the horn. A normal 8" driver is just no match. So we had to do many experiments and it took 1 year in development to find a solution. The new 8ND250 bass driver is the result of this research. We believe that this is likely one of the very best 8" long excursion drivers in the market! It has +/- 6.5mm excursion, very strong magnetic neodymium structure and extremely stiff membrane. Please have a close look at the 8ND250. Maybe you just take it out and measure/sweep it. Just run a 50 Hz sinus wave and listen to the driver. Very, very clean! As I say, "We believe that this is an exceptional driver". Available in Matte White and Matte Black. and you have the ability to access several streaming services including Tidal, Qobuz and more. It also has a great streaming radio feature. Perfectly capable of decoding MQA. We combine the Vandersteen speakers wonderfully with Audio Research, NAD, Bryston audio, Brinkmann, Naim, Meridian, Dan D Agostino & more. The newest Wilson, and their top single enclosure model. Morning frost with Blue grills available for demonstration. 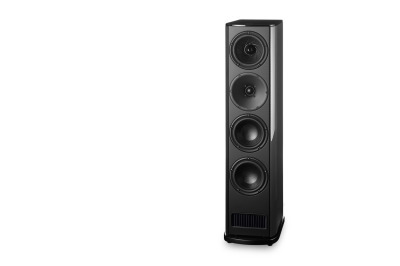 One of the best-sounding speakers on the floor, but demands careful set-up. It has a large electrostatic tweeter, a line-array mid, and four side-firing woofers. This is a speaker that images right across the showroom. SALE at $32000.00 when purchased with electronics. 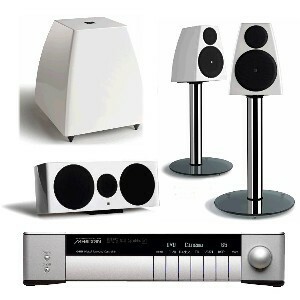 Er have matching center channels and sub bass systems in stock also. 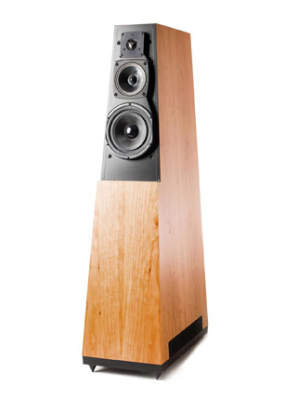 T+A was first a loudspeaker manufacturer, and their products are extraordinary. 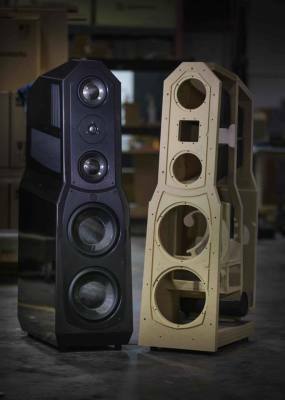 This is the second largest speaker in the TCD line-up which features transmission line bass, and D'Appolito designs for the mid and high. 1 pair in Makassar ebony in stock. At 34 inches high, this is the smallest in the TCD line-up, but still has a long transmission line, and is very similar to its upstream siblings. 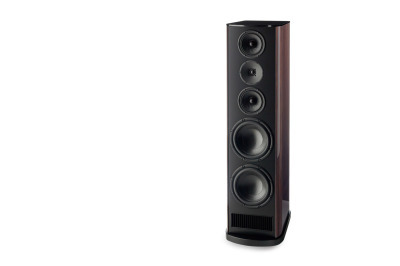 Don't be fooled by the size of this extremely capable speaker. Dali Connect stand M-600 available in Black and White. 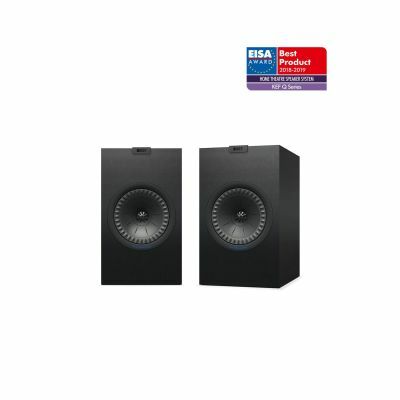 I just purchased these speakers for my own home. Amazing with the NAD 777 Receiver. The LIGNUM series, developed by T+A, finally meets this demand: real wood loudspeaker cabinets which have all the elegance and form factors of their aluminum equivalents, but with an endearing charm of their own thanks to the curved, molded wooden cabinet. 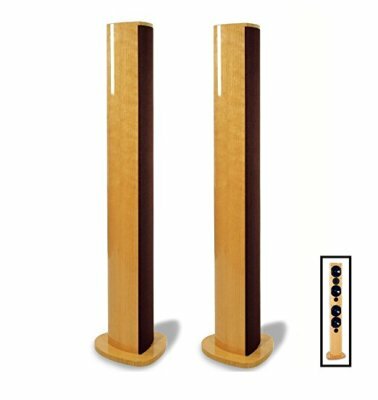 All the loudspeakers in the family share very similar overall sound qualities: natural, wide-ranging, dynamic and totally uncolored. 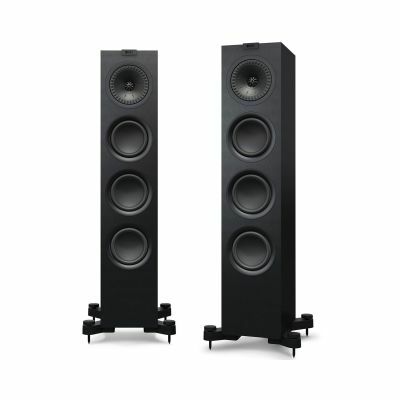 Which of the two LGS floor-standing loudspeakers is the better-looking one is largely a matter of taste: is it the full-size LGS 10, or the little LGS 20? The perfectly proportioned ’20 is only 12 cm wide, 13 cm deep and 100 cm tall, yet it sounds much bigger than it looks. Three refined, extremely long-throw bass / mid-range drivers ensure that it offers an excellentbass response: the lower one transmits the low bass only, whereas the other two units are installedin the D’Appolito arrangement in conjunction with the superb annular tweeter. $2,995 a pair Sale at $1995.00 a pair. Aerial Model 7T available in Gloss Nero Black and Gloss Rosenut. Specially compounded Papyrus forms the stiff but precisely damped midrange cone. This driver is isolated in a separate, wool-filled chamber. The woofer cones are a rigid, damped bilaminate composite. Both driver types have cast magnesium frames, large magnets and long linear excursions. The soft ring-dome tweeter has large dual magnets, a damped chamber, and a copper pole sleeve. The result is that each driver remains linear well beyond its range of use, maintains accurate transients, and exhibits exceedingly low distortion. Seamless amplitude and phase integration is provided by precision networks using 21 high-quality components including polypropylene film capacitors and low-oxygen copper air-core coils. High current nickel-steel cores are used in the bass. Separate glass-epoxy boards are employed for the bass and midrange/treble sections. Silver solder and Teflon® insulated high-purity copper wire are used throughout. System performance is exceptionally accurate and natural with excellent transparency, detail, dynamics, and spatial presentation. Low bass has outstanding authority, control, and extension. Upper bass is well defined and articulate. Midrange is extremely natural, clear, and beautifully detailed. Treble is delicate and open, without edge or false emphasis. 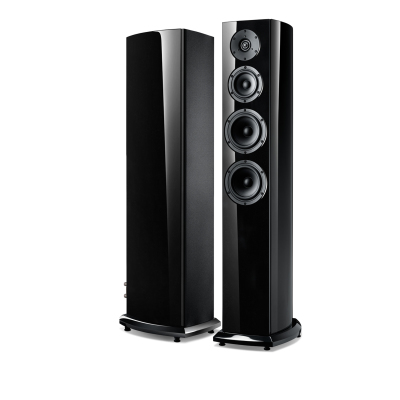 The slender, graceful appearance of the Aerial Acoustics Model 6 is perfectly complemented by its refined, full-bodied sound. Purpose-designed with a compact footprint and rear-facing port, the carefully voiced Model 6T is ideally suited for small to medium sized listening environments. 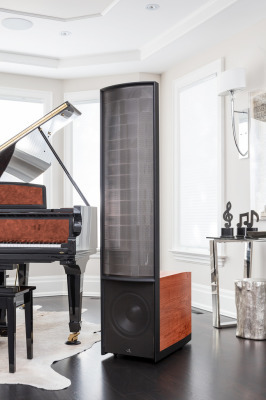 The Model 6T is characterized by a transparent, open, natural sound, with precise imaging and taut, satisfying bass that reaches surprisingly deep for a speaker of its size. Treble response is extended and remarkably smooth. Unrestrained dynamics and high power handling combine with subtlety and nuance to faithfully reproduce both music and film soundtracks. All Aerial loudspeaker systems are designed and constructed with fanatical attention to quality and detail. Decades of design and manufacturing experience have taught us that craftsmanship and technology go hand-in-hand when creating products of uncompromising performance and genuine long-term value. The Model 7CC reflects the Aerial Model 5T, 6T and 7T designs. It shares the same curved cabinet construction and high gloss finishes, the same tweeter, similar design and refinement in the midrange and woofers, and the same high level of crossover componentry and wiring. The 7CC’s extremely rigid and inert curved shape is created by bonding multiple layers of wood together under high pressure for 48 hours in a 20 ton press. The resulting thick cabinet walls are further cross-braced. 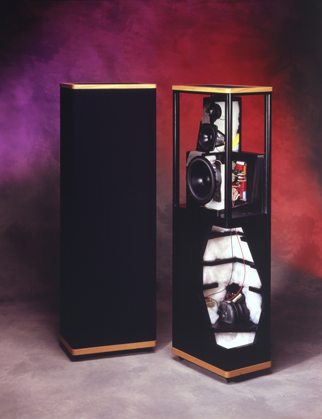 Individual front baffles for each woofer are attached to the cabinet face with damping glue which reduces the flow of energy from the drivers into the cabinet walls. The tweeter and midrange drivers are center-mounted on a thick black-anodized aluminum plate which seals their dedicated chamber and inhibits energy transmission to the cabinet. The internal volumes are damped with New Zealand long-fiber wool specifically chosen for its sonic character. All these steps ensure an inert enclosure capable of reproducing soft or loud music passages without sonic colorations. Finally, the Model 7CC cabinet is finished by hand in multi-layer Nero Metallic Black or High Gloss Rosenut using imported German veneers. The Aerial 7CC features the natural sounding 1” woven ring-dome dual-magnet Danish tweeter from the 7T, a midrange driver based on the 6T and 7T designs, and a new dedicated 6.7” long-stroke woofer custom-made for the 7CC. With the optimized high-order multi-element crossover and environmental compensation, the result is a natural life-like presentation and seamless, highly detailed response from 55 Hz to 25 kHz. 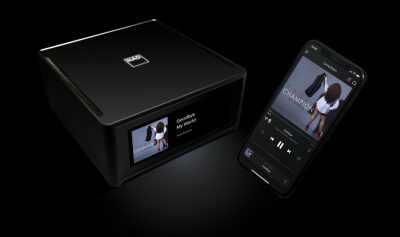 KEF New R series for 2019 is here ! Series delivers more detail, deeper insight and greater excitement. Great for 2 channel as well as movies. 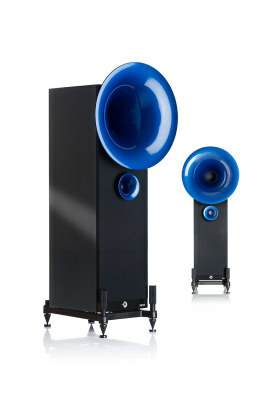 KEF R700 in Black 1 each at $1200.00 Must buy 2. 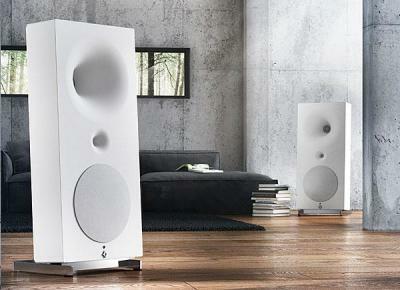 KEF R700 Floorstanding Loudspeakers. Amazing for 2 channel as well as Theater. deliver sweet, accurate sounds of unprecedented clarity. results in undistorted high frequencies. sophisticated, refreshingly natural sound field. 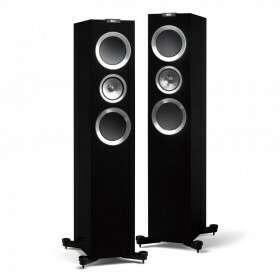 KEF Q series speakers are now in stock at Sunny's ! 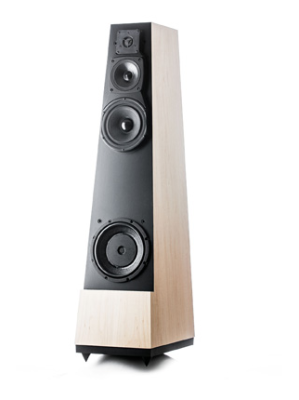 Also in stock @KEFQ550 Floorstanding loudspeaker $545.00 each. 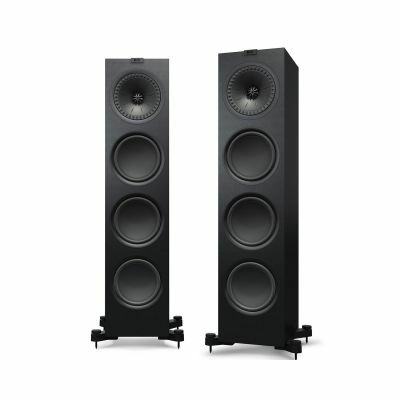 KEF R-600C Center channel speakers. 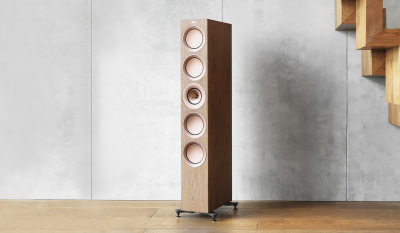 The KEF R600c Center Channel Loudspeaker features amazingly fast and clean mid-range response and startlingly pure high frequencies, all operating as a single integrated voice thanks to our state-of-the-art Uni Q driver array. Unlike conventional speakers, the mid-range cones are rigid magnesium/aluminum constructions that reduce breakup problems, and our mid-range Z-flex surround smoothes the tweeter transition to ensure you're hearing every ingle detail produced by the R600c. The R600c features two 6.5 inch bass drivers, which deliver dynamic, uncompressed, and undistorted bass with a powerful clarity. 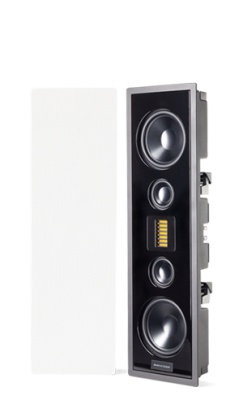 The geometry and bracing of the R600c's driver enclosure optimizes vibrational behavior, reducing secondary radiation from cabinet walls for a cleaner sound. Damping panels further minimize cabinet resonance and coloration. Refined, spacious and exquisitely detailed, the R600c delivers sound in such a way that you're sure to hear music like you've never heard it before, and background noise in movies you didn't know were ever there.